Only a select few have the “honor” of doing the De Pasquale’s Dozen interview more than once. I had to ask Dan Bongino to answer a new set of questions after I read his new book, Life Inside the Bubble: Why a Top-Ranked Secret Service Agent Walked Away from It All. In his book, former Secret Service Bongino chronicles his 12-year tenure in the Bush and Obama Administrations and with the elite Presidential Protective Division. Sean Hannity said Life Inside the Bubble offers "a rare peek inside the DC 'bubble' which should be a wake-up call to every American." In addition to the behind the scenes look at his time with the NYPD and Secret Service, Bongino tackles the DC “bubble” problem of why a government of mostly good, earnest people makes so many terrible mistakes, as in the IRS scandal, the Benghazi aftermath, and Fast and Furious scandal. 1. What one thing would you do as President "just because you could"? Make a call from Air Force One to order a pizza for the guys at the next stop. 2. Tell me about your favorite teacher and how he or she influenced your life. Mrs. Sciortino in the fourth grade. She impressed upon me at an early age the value of reading to seed the mind. I would love to fly an F-22 Raptor. If you have ever seen one of these planes up close and personal you would understand why. Ironically, the night we lost the race for the US Senate. Although I had lost the race, when I was speaking to the crowd of supporters I didn’t see a dry eye in the house. It was then that I realized that political losses aren’t always personal ones and we had done something special. Sometimes losses are lessons learned to fight another day. 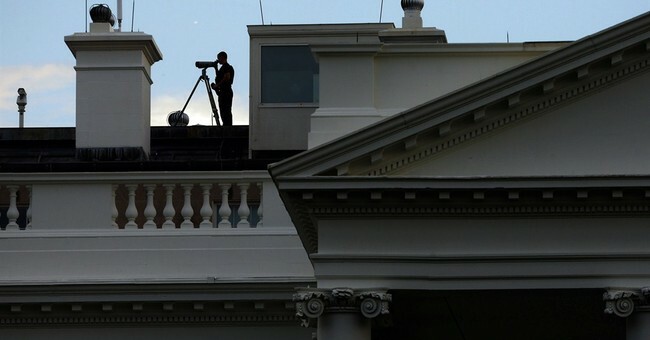 6. Who had the silliest Secret Service code name and what was it? Although the official code-names are classified, one of the guys I went to training with was an incredible athlete and we jokingly called him “The Ultimate Male” after Thunderlips from Rocky 3. 7. What’s the best present you ever gave? 8. What are you most grateful for this Thanksgiving? My two daughters, Isabel & Amelia. 9. Who would be on the perfect "Red Eye" panel? 10. What books are on your reading list? 11. What would you like tomorrow's headline to say? President Obama has epiphany and discovers Keynesian economics is a fraud. 12. What do you want people to take away after reading your new book, Life Inside the Bubble: Why a Top-Ranked Secret Service Agent Walked Away from It All? That the status of our government’s dysfunction is worse than you may know and the window to fix it is closing rapidly.